Haosou, Qwant and Coc Coc – The New World of Digital Marketing? 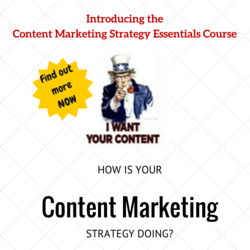 In the ever changing and ever busier world of digital marketing, it’s almost impossible to keep up-to-date with the latest developments and changes – even just in one market, never mind in ten or twenty. 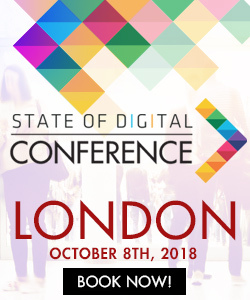 Yet if you are targeting international markets, keeping your finger on the pulse of what’s happening can ensure you’re investing your valuable budget in the right places, open up new opportunities, give you an edge over the competition – and help you to stay relevant to the audience you’re working so hard to reach. To that end, here is a round-up of a few changes and new kids on the block you may not have heard of, but might be ones to watch in 2015. This is not technically a new search engine, but it is a relaunch of an existing one. 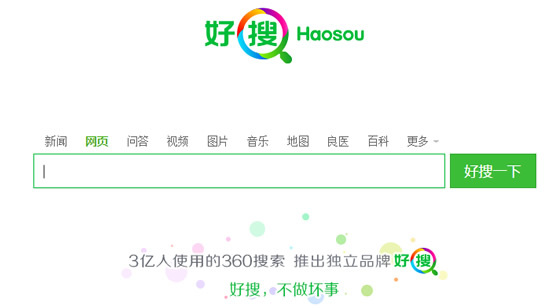 Chinese internet company Qihoo 360 announced the release of Haosou – which means good search – as a replacement for its existing option, so.com. Qihoo 360 took the world by surprise in 2013, when it managed to win around 10% of Chinese search market share almost overnight and it has been steadily making ground on Baidu ever since. Latest stats put it at a very healthy 30% for desktop search; however its mobile share was less significant at around 2%. The re-branded Haosou has been developed with mobile very much in mind and is expected to improve performance in the increasingly important mobile area. Baidu still holds the search crown in China but is nowhere near as dominant as it used to be. Businesses targeting China need to look beyond Baidu, to Haosou and other growing engines such as Sogou, to ensure they aren’t missing on a sizeable slice of the Chinese online pie. I’m afraid we’re sticking in China – and with a platform you’ve probably already heard of. Since launching in 2011, WeChat has positioned itself as China’s most popular instant messaging app and in a bid to grow its audience and provide a quality user experience, has until now stayed away from advertising. Brands wanting to interact with users could only do so with an official brand account, with limitations on how often they could reach their “fans”- until now. In January, WeChat began showing ads in its news feeds; with only 3 advertisers, BMW, Coca-Cola and phone company Vivo, being given the chance to get in front of users. WeChat claims to be using intelligent technologies to ensure only relevant ads are displayed, as well as to control the volume shown, yet unsurprisingly the move has been met with a mixed response – not only because users are annoyed by the intrusion of an ad, but also because they took offence if WeChat deemed them only to be worthy of a Coca-Cola advert, rather than a BMW! Any changes on a social platform, especially when advertising is involved, are almost always met with resistance, yet it’s an inevitability that monetisation will appear at some point. While there may be some teething problems, it’s unlikely that the introduction of ads will dramatically reduce WeChat’s popularity – making it a very appealing channel for foreign brands hoping to crack the lucrative market. A pretender to Google’s throne, Qwant is an up and coming search engine based in France, determined to provide an alternative to the Silicon Valley giant. Google has near enough a monopoly in Europe, with over 90% share in most countries, however increasing concerns over the use of personal data and online tracking are making it less and less popular. Qwant has a few characteristics which differentiate it from its global rival. It has a Tweetdeck-style layout, which categorises results into several columns: Web, News, Social and Shopping, although users can customise the screen with several different layout options. It is determined to be relevant to its users – including results from social platforms like Twitter directly in results so users are seeing the most recent and relevant information on any given topic. And crucially, it doesn’t track users’ online behaviour, hold any data and will serve ads solely based on the keywords entered. Qwant’s next move is a child-friendly search engine – Qwant Junior – which will launch early this year, and significantly will have the backing of the French government to be used in schools across the country. It will filter out results which would be inappropriate for children, and won’t show adverts either – but will be hoping to convert parents away from Google towards its monetised version. You may be feeling sceptical – is it possible to really challenge Google in a region where it is so dominant and so engrained in the lives of web users? It won’t be an easy challenge, for sure, however there does seem to be a genuine desire for a more private alternative, which Qwant just might offer. It is already making moves into other European countries, including Germany where it has the backing of a major publisher – so it’s definitely not one to write off just yet. 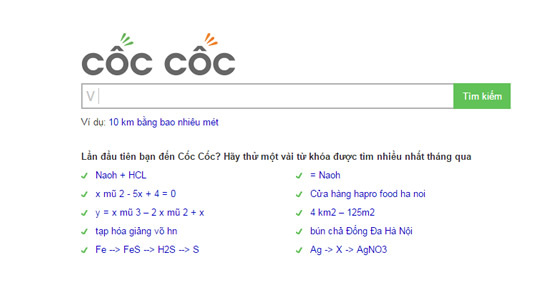 Hoping to follow the successful model of Qihoo 360 is Vietnam’s Coc Coc, an internet company which includes a browser, search engine and advertising solutions in its portfolio. It launched in 2013 and has already seen its browser leapfrog Firefox and Internet Explorer to only trail Google Chrome. Vietnam is one of many markets where Google is number one by default, and it doesn’t have any physical presence in the country, or any products designed specifically for that market. Coc Coc believes it understands the nuances of the language much better (think Yandex in Russia) and can therefore provide users with a more native, accurate search experience. There is no doubt that Google’s search share in countries like Russia and South Korea has benefitted from the usage of Chrome, so if Coc Coc can deliver what it promises from its search engine it has a real chance of success. A new social network for the world’s most social nation – Indonesia. With the highest Twitter and Facebook penetration rates globally, as well high engagement levels, Indonesia is as social as it gets. To tap into this, Sebangsa (meaning Same Nation) has launched a social network focused around public service – everything from providing access to an emergency hotline, 999 or 911 style, to sharing ideas and concerns with government ministries. For now, the network would be of little interest to businesses, however if its user base grows; there could be opportunities for private sector companies to reach an active audience. Indonesia is also the second fastest growing internet market globally – so the potential of this market for foreign brands is only going to get bigger. I have no doubt that this time next year, we’ll still be talking about Google and Facebook and they will still be leading the pack… but the distance they are ahead might not be quite so great. You forgot Egerin http://en.wikipedia.org/wiki/Egerin a search engine with its own crawler which is tailored to kurdish people around the world. There are 40 million kurds and egerin is the first search engine that is concentrating on kurds.